We all have the best intentions of getting organised when we first move into a new space. We unpack everything carefully, thoughtfully consider the best placement for each item, and vouch to keep our system in check. Fast-forward a few months, and there is likely a degree of organisational chaos that's settled into our kitchen cupboards: Spices are suddenly stored with vitamins, random items take over important shelf real estate, and pots and pans pile up to the ceiling. Don't even get us started on the cupboard under the sink. It would be all too easy to simply turn a blind eye and let our precious organisational system fade into chaos, but there is no better time than January to roll up our sleeves and tackle our kitchen mess, all in the name of new resolutions. It's far too cold to venture outside anyway. So if you are brave enough to take a few hours of your weekend to achieve organisational bliss, we outlined the ultimate system—carefully thought out by two organisational experts. Don't spend another second sorting through stacked pans or forgetting about old spices in the back of your cupboards—this is how to organise your kitchen cabinets, once and for all. Before all else, purge, says JR William co-founder, Rachel Brecher. "Having three cast-iron pots when you only use one is not convenience—it's clutter. Purging your multiples is the foundation for an organised kitchen." While you're at it, think of items that can play double purpose: "Table-ready pots can save space and time when you can easily transfer them from oven to table to fridge. 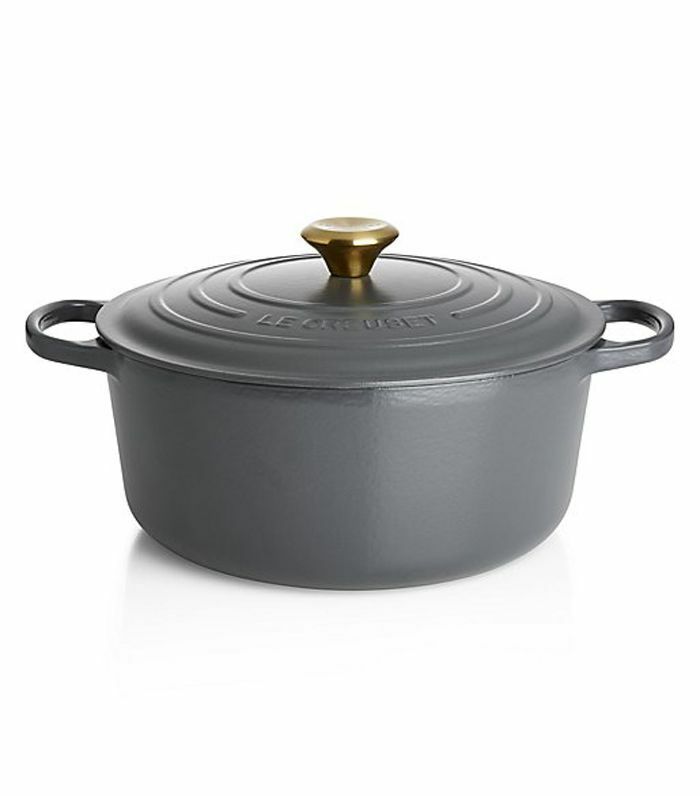 I use a Le Creuset Dutch Oven and a few Pyrex baking dishes to keep things simple and versatile." "Everyone has products they use daily, weekly, and monthly," explains Brecher. "Separate your cabinets to have your daily items within arm's reach, your weekly ones a little higher up, and the rest on your top shelves. If your high-mileage pots, pans, and dishes aren't easily accessible, the whole process won't be sustainable." Think of it this way: "If you can't see it, you won't use it," she adds. For instance, "utilizing a three-tier spice rack for your shelf will keep your spices organized and easy to identify." Professional organizer Jeffrey Phillip is on the same page: "One of the biggest organisational improvements one can make to their kitchen is to store things in cabinets or drawers close to where they are used," he says. "For example, try storing your plates and silverware near one another and near the dishwasher, storing glasses near the sink, storing knives near cutting boards and the prep space." These small improvements can make a world of a difference when comes time to actually use your kitchen functionally. The shelves in your kitchen cabinets may be high, but that doesn't mean you have plates to stack to the ceiling. Instead, Phillip urges to use the vertical space in your cupboards: "Use adjustable vertical dividers inside your cabinets to more easily store things like cookware, baking sheets, cutting boards and large serving platters, which are traditionally piled high in a cabinet. By storing these items vertically you will eliminate the cumbersome stacked piles we all loathe." By the same token, he swears by shelf risers: "They eliminate cumbersome stacking inside your cabinets. The shelf risers will divide piles and create more usable shelf space. 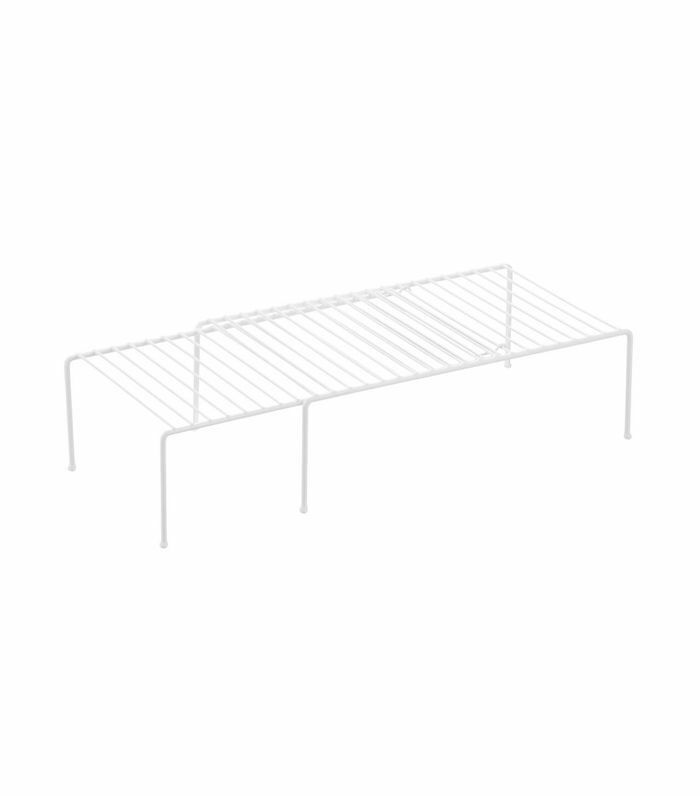 This extra shelf is not only handy to divide those stacks of plates, bowls, and drinkware, but it's also useful in the pantry for canned and boxed food." 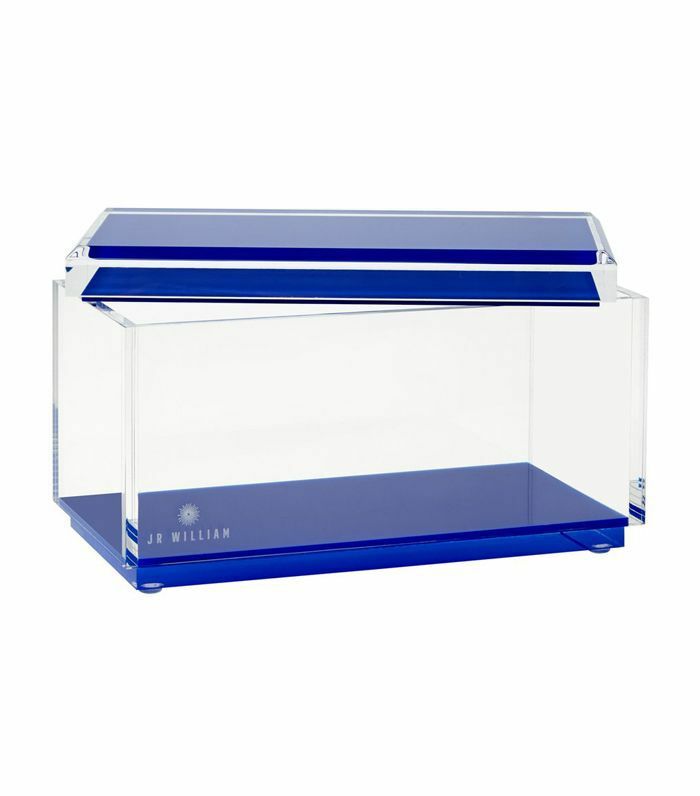 "There is a real enjoyment in opening your cabinet and seeing uniform containers clearly labeled and organised," says Brecher. "Cereal, flour, beans, kids snacks, coffee, and even tea bags are all products that should be put into canisters and labeled." Once again, Phillip agrees: "Using uniform containers in a cabinet or fridge allows your containers to fit together better, which means less wasted space. 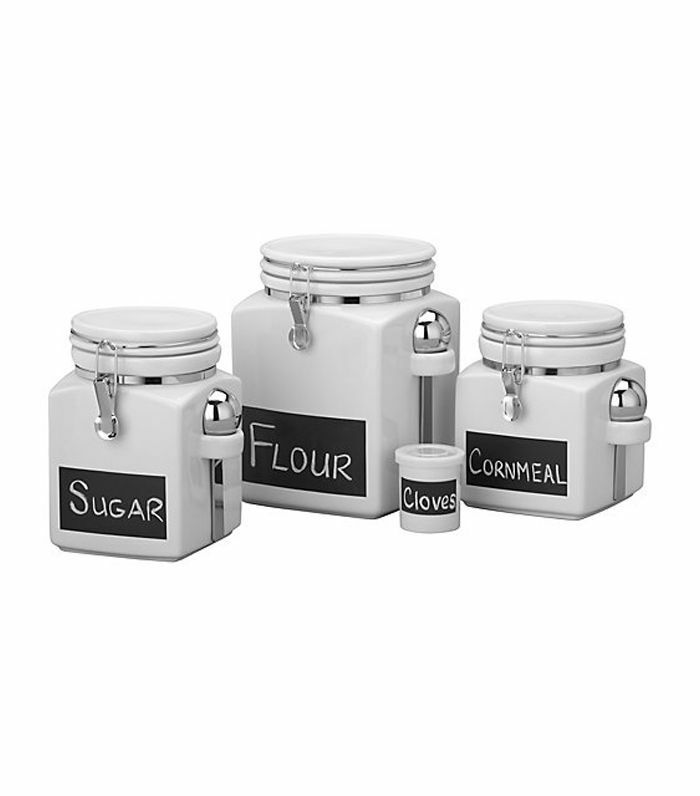 Decant frequently used food and drinks into more space-conscious, uniform containers to make every inch count. Pro tip: Square or rectangle containers fit together better than round and result in even less wasted space." And on the note of keeping things uniform, take up a new hobby in 2018: labeling. "Labeling is an important aspect of organisation, as it transforms your work from esoteric to clear and defined boundaries," says Brecher. "Labels can be a keystone in keeping your organisational systems in place," adds Phillip. "By clearly defining your areas, labels will help to hold you accountable. For example, if a section of a kitchen drawer is labeled for 'peelers and zesters' there is less of a chance that you will put an ice cream scoop in that section. The label will serve as a gentle reminder and coerce you to put things back where they belong. 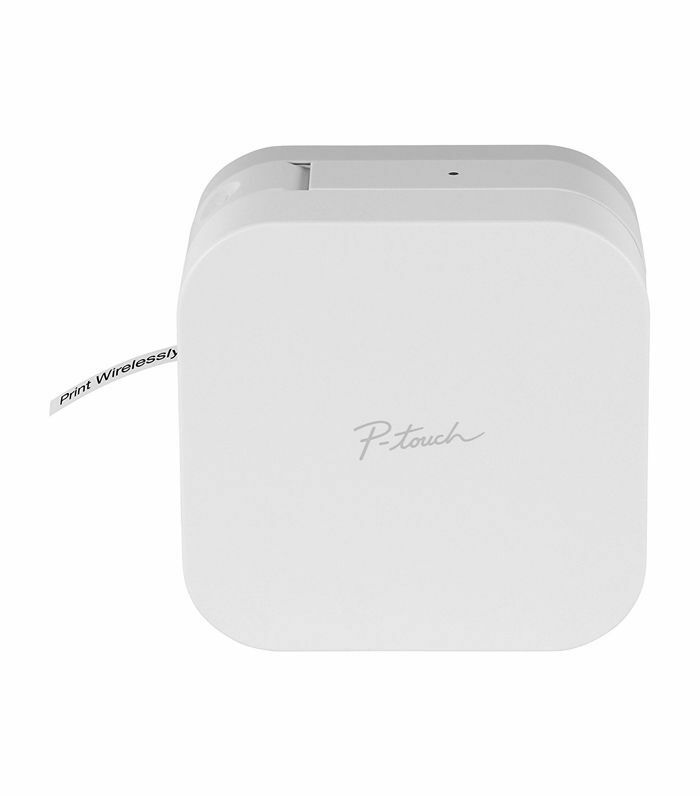 To make labeling a more convenient part of daily living, upgrade to a small, Bluetooth-enabled label maker such as the P-Touch Cube." "Use drawer organisers or dividers to keep 'like' items together and to make it easier and quicker to access the tools you need," suggests Phillip. 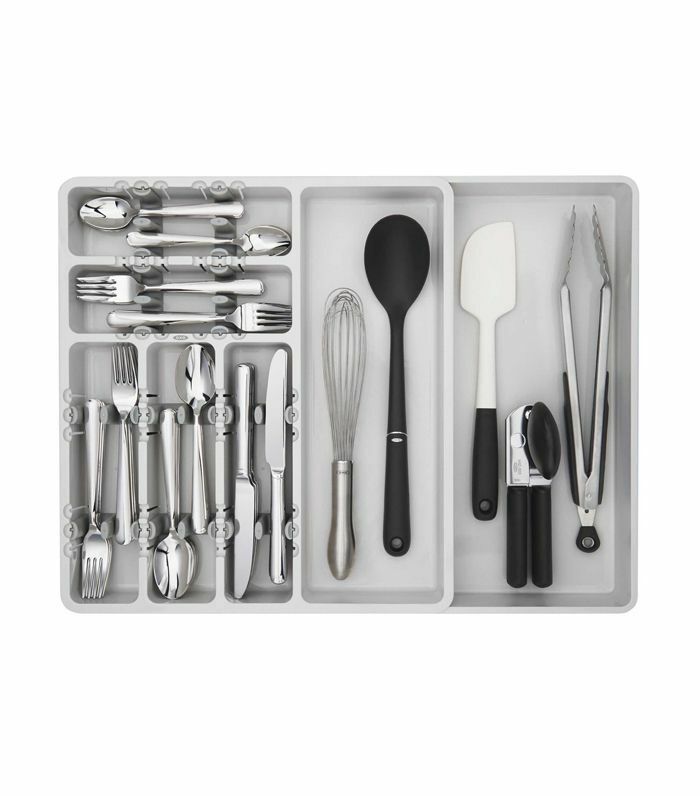 "If space allows, store baking tools separate from everyday cooking tools in different drawers and cabinets. Then, divide each general category into smaller subcategories. For example, in everyday cooking tools, you can use dividers to keep items like cooking spoons and spatulas together, or zesters and peelers." Brecher also loves using trays to corral any items that might otherwise be out of place: "Dish soaps, hand soaps, and moisturisers all have a great reason for being on your kitchen counter, but they can't be running wild," she says. "Use a tray to corral in those random must-haves." Phillip has a few tricks up his sleeves when it comes to using every inch of a tight space: "The space on the back of the cabinet or pantry door is valuable real estate," he says. "Make use of this overlooked storage spot for small items like spices and measuring cups and spoons with slim caddies and hooks. Open up counter space and reduce visual clutter by mounting the paper towel holder on the inside of the under-sink cabinet door. This will keep the paper towels hidden but still handy. 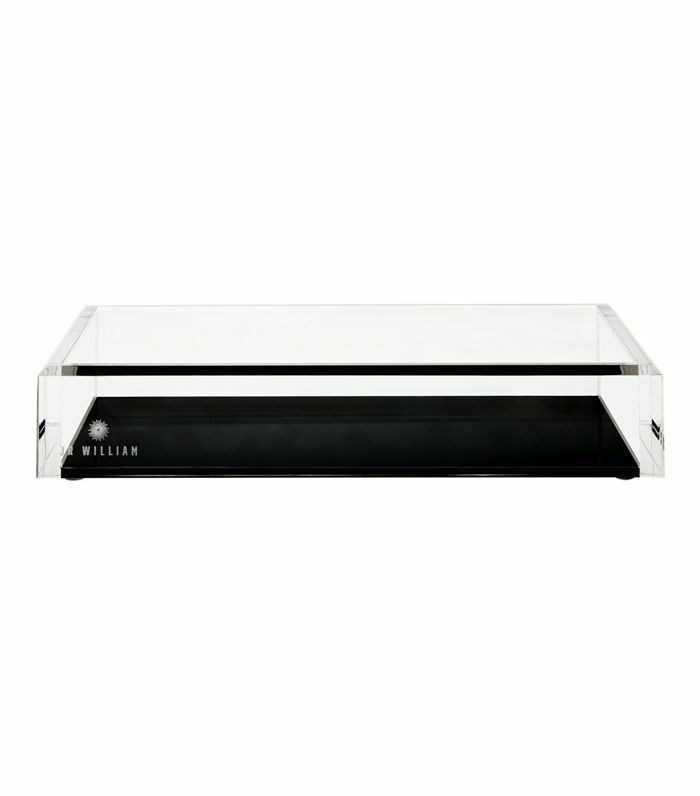 Use a lazy Susan for a quick way to add organisation and efficiency throughout your kitchen. They are excellent for spices and oils in a cabinet, work great in a refrigerator for condiments. They can even help make that hard-to-reach under-the-sink space more accessible." Lastly, realize that your new system will require some maintenance. "Once you lay down the foundation for an efficient and organised kitchen, it will be easier to start back up again when you catch yourself slipping into old habits," says Brecher. "Appreciate your progress and keep moving forward." To keep optimising your storage, she also recommends investing in nesting items. 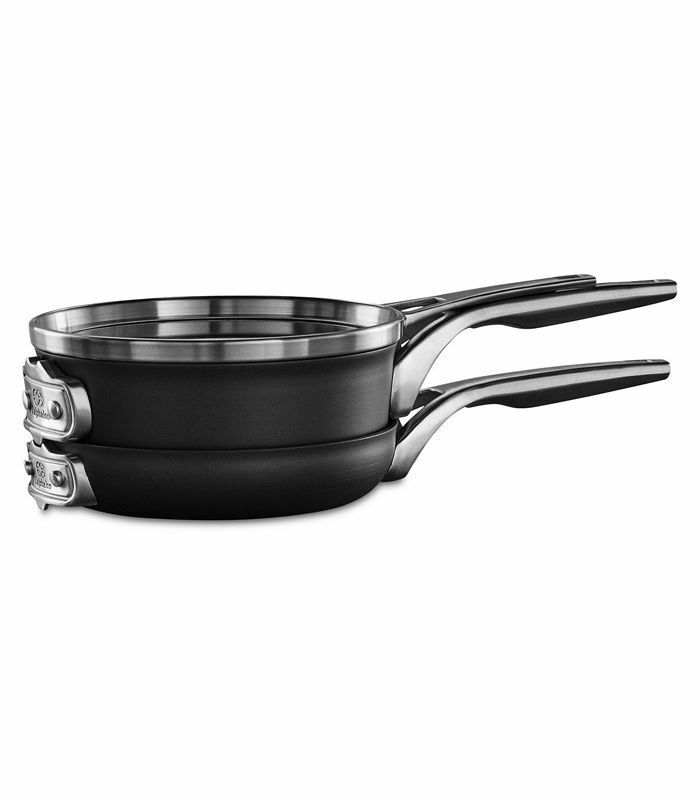 "It's 2018, and almost every major brand has space saving-versions of their products—from a Calphalon Space Saving Cookware Set to Joseph Joseph Nest Utensil Set. Utilising products that are aligned with your goals will make all the difference." And now, the linen closet organisation ideas that will declutter your life. What Is the Next Big Kitchen Cabinet Color Trend?